When I learned that the travel writer preview Viking River Cruise was going to be in Bordeaux I got excited. Not only do I love France, but way back in college I actually worked for a winery, so the chance to tour one of the most famous wine regions in the world was an extraordinary opportunity. One of the most important things I learned that in addition to being a region of France, the city of Bordeaux is an equally impressive place. Given the fact that I didn’t know there was even a city of Bordeaux, nearly everything surprised me about my time there, in a good way. Our Viking Longship was moored adjacent to the historic core of the city, the perfect spot from which to launch my exploration. With nearly 250,000 people, the city isn’t a small one but up until a few years ago few tourists spent any time here. But an effort by the local government to clean up and revitalize the historic center of the city has led to Bordeaux being a tourist spot in addition to the nearby vineyards. 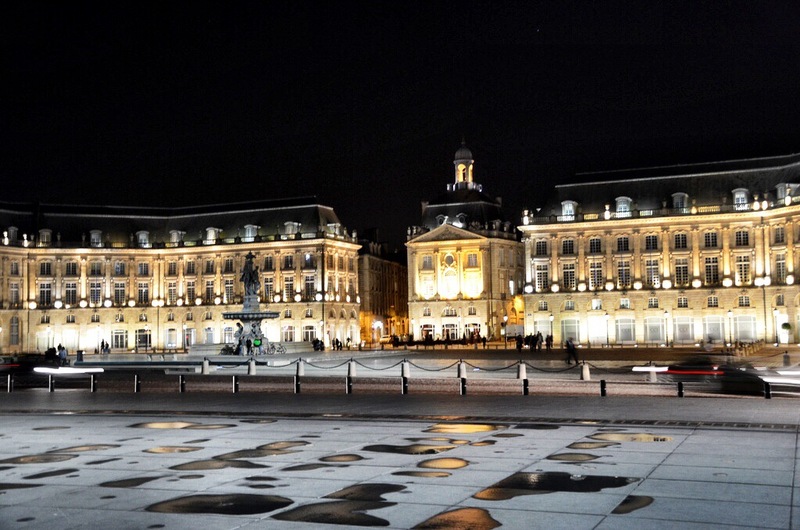 Inscribed on the UNESCO World Heritage list as an outstanding urban and architectural ensemble, Bordeaux features a creative mix of beautiful historic architecture and modern art installations throughout town. A focal point of any tour is the Place de la Bourse, a royal square dedicated to the French ruler Louis XV. Walking around this massive area and the park in front, I couldn’t help but notice how busy it was. It was a beautiful spring day and hundreds of people were laying in the nearby park, playing in the captivating water mirror and just enjoying themselves. That was a constant theme throughout my stay in the city, the importance of enjoying life. Wandering through town I passed by small cafes tucked into narrow alleys, enormous pedestrian shopping zones and huge monuments to ages long past. The city’s cleaning efforts had paid off; years of black grime is gone and in its place the centuries old buildings shine as if they were just erected. So when you find yourself exploring one of France’s most famous wine regions, be sure to plan extra time for the city of Bordeaux, it’s not a place many people talk about but one that I found myself loving almost right away. Bordeaux is one of my favorite places in the planet. Cruising must be an amazing way to see it. It was really handy and I loved how close we were to the historic part of the city! Ah Bordeaux. Je t’aime! Well done Matt, nice blog. I just stumbled upon your website via StumbleUpon. Two years ago our family celebrated our 50th wedding anniversary by spending two weeks together in Languedoc-Roussillon. (We are from Ontario). A UK friend of our daughter has a vacation home in a tiny French village (Rivel) in Aude. On the way we stopped at Bordeaux. 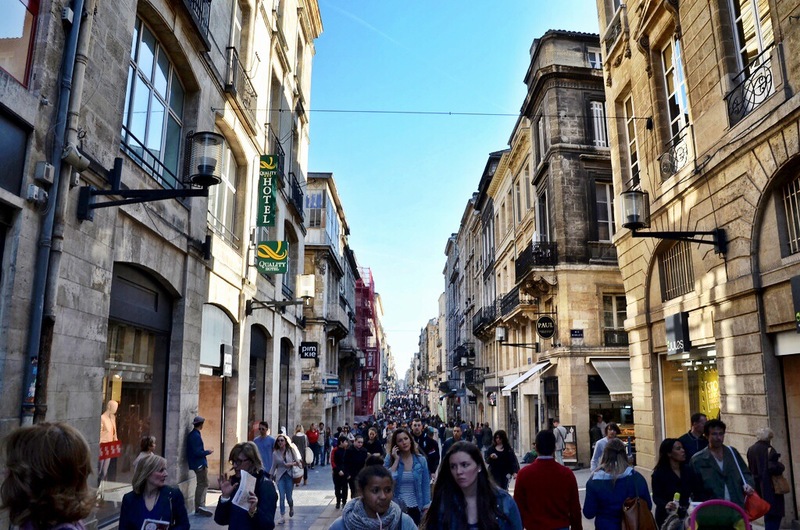 Your photos are a good representation of what is Bordeaux. It was EXACTLY like that! BTW we found the French people everywhere we went so cordial and charming. One day a man walked by our table at a restaurant. Hearing us speaking French ‘à la canadienne’, (we are French-speaking Canadians), he asked if he could sit down and spend a few minutes with us just to chat in each our own way of pronouncing words! . When we left the restaurant at the end of our meal, the cashier told us that he had paid for all our drinks! Since our trip I am spending many hours touring little villages of Douce France through Google Earth. I have put your site on my SpeedDial and will drop in once in a while. Merci and thank you for sharing your story – what a great experience! We’re headed out to do a river cruise this summer with UniWorld in the Bordeaux region of France. Can’t wait. Hey, I couldn’t help but notice the beautiful photographs in your piece. Are you shooting HDRs these days? Thanks, although I of course would recommend Viking. 🙂 And no HDR, just normal shots on my handy Nikon DSLR. Great post! I lived in France for one year but never made it to Bordeaux…definitely top on my French to do list! So this article is obviously an old one, but I just started following you because I work for turkish airlines in Bordeaux. And I just wanted to say thanks for this article. I hope you had a great time in our city…although to me it is still a big village ! And yes, we do enjoy life as much as we can, especially when the sun is out. It’s called “flâner” ! !